Discover what's inside a Heroines box! The aim of Great Paints: Heroines is to enjoy painting an amazing female miniature (or two) each month. The figures will be chosen to represent a diverse selection of the badass females now available for painting & wargaming, and are presented in the box as a 'kit' to create your new heroine. As such, there will always be at least a scenic base to display your new mini on, a set of paints to get your started painting her, and a Heroines Card to tell you a little about her. January's launch drop featured 1 female miniature by RN Estudio from their Myth Explorers line called Jasmin. Find out more about Jasmin below and the other contents in her box. January's Heroines box was also great value for money containing RRP £30.40, for just £21.90. That's a saving of 28%! Every Heroines box will always contain a Heroines Card. The front and back of this custom card can be seen in the picture above. It's basically a 'character card' for your new mini and will contain unique information each month about the featured miniature(s). You can collect the whole set to display with your painted heroine over time. There will also be a 'menu' inside each Heroines box explaining all about the contents. This high quality, glossy leaflet will give you some background history about your new miniature, as well as an introduction to the rest of the contents in the box, including company info and tips on using the products. 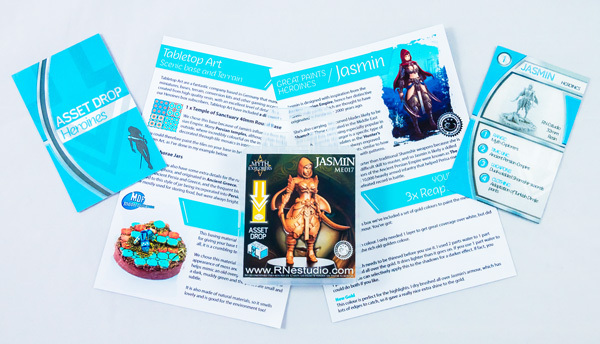 Jasmin is a 32mm female miniature from RN Estudio. They have created a range of fantastic figures called Mythexplorers that take inspiration from different periods of history. We love RN Estudio models because they are cast in premium resin which allows them to preserve a very high amount of detail. The 32mm Jasmin miniature assembled and placed on her scenic base, complete with additional terrain. Jasmin is designed with inspiration from the Ancient Persian Empire, hence her distinctive harem-style Dimije pants, which are thought to have originated in Persia over 2000 years ago. She’s also carrying two curved blades likely to be Shamshir. These originated in the Middle East and Central Asia, becoming especially popular in Persia. A Shamshir Shekargar is a specific type of sword that directly translates as the ‘Hunter’s Sword’. These swords were always engraved with scenes from battles or hunts, similar to how Jasmin’s weapons are engraved with patterns. 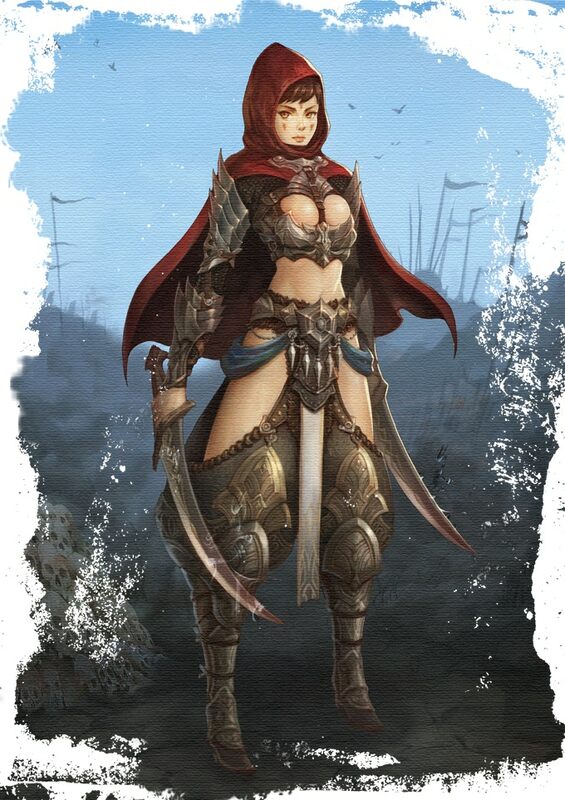 Jasmin’s swords are actually shorter than traditional Shamshir weapons because she is dual-wielding them. This is a difficult skill to master, and so Jasmin is likely a skilled warrior. The most skilled warriors of the Ancient Persian Empire were known as The Immortals. An elite group of 10,000 heavily armed infantry that helped Persia rise to dominance due to their undefeated record in battle. 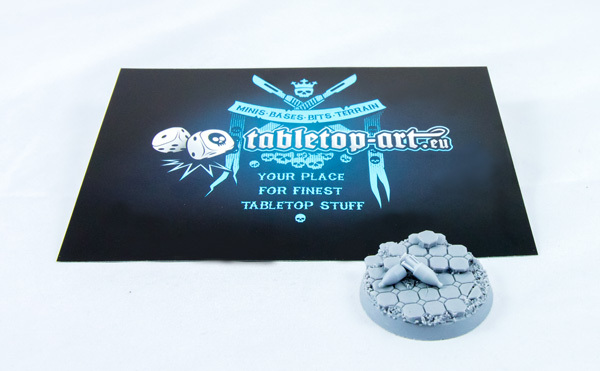 Tabletop Art are a fantastic company based in Germany that manufacture their own miniatures, bases, terrain, conversion kits and other gaming accessories. 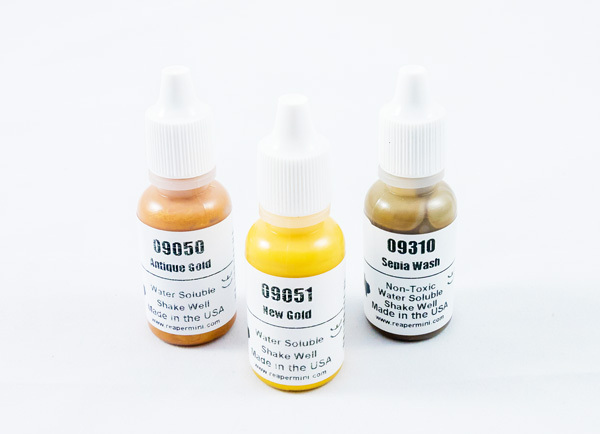 Everything is created from high quality resin, with an excellent level of detail, and they have a huge selection of choice. 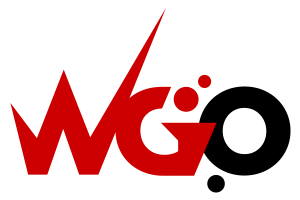 They are really friendly and passionate about what they create, so we'd recommend checking them out. For Jasmin, we chose the ruined temple base because of her influence from the Ancient Persian Empire. Many Persian temples, although plain looking from the outside, where incredibly colourful on the inside. They were mainly decorated with tile mosaics in intricate and eye catching patterns. As a Persian warrior, it is likely that Jasmin would have fought battles across ruined temples, so we thought the base was a fitting scene for her. In January's Heroines box we also included some additional scenic decorations for Jasmin's temple base from the fantastic Tabletop Art. These jars are known as Amphora, and first originated in Ancient Greece. There were many ongoing wars between Ancient Persia and Greece, with one invading the other to gain land, only to lose it again later. The frequent blurring of the border between the Persian Empire and Ancient Greece led to this style of jar becoming incorporated into Persian art too. They were most often used for storing food, but were always brightly decorated, as with much Middle Eastern art. The base and amphorea jars together are RRP £3.00. In January's Heroines box we included a set of gold paints & a wash from Reaper to paint the metallic sections of Jasmin’s armour. The MSP series of paints are very high quality acrylics made in the USA, which are fast drying and come in a huge range of colours. Reaper's metallics are really great colours to work with and were ideal for Jasmin. Alongside the paints themselves, we also include some tips on how to use them to paint Jasmin in the 'menu' in the box. We suggested using Antique Gold as the base colour, New Gold as the highlight (to be dry-brushed on), and the Sepia Wash to selectively emphasise detail on the armour panels. These three paints in the UK have an RRP £9.90. Finally, inside January's Heroines box, we also included some Forest Scatter to add to Jamsin's ruined temple base to add to the weathered look. This product is from the Basecraft Range of Model Display Products. 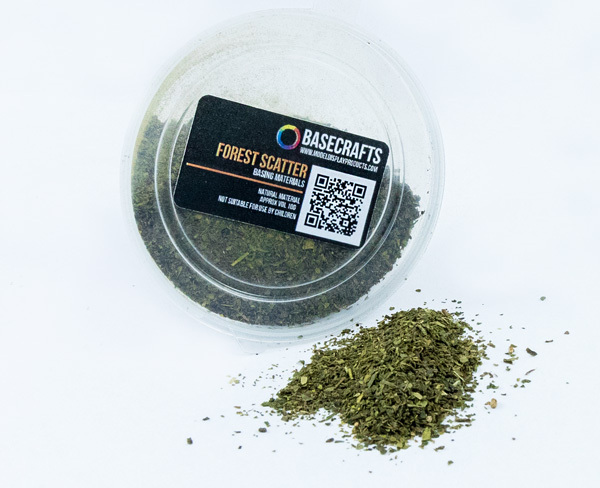 They produces a fantastic and varied range of basing materials (alongside many other miniature painting products), and are definitely worth checking out - you can see their full Basecrafts range here. We chose the Forest Scatter because it has the ideal appearance of moss, leaves and organic debris, which helps mimic an old overgrown floor. The colour is a dark, muddy green and the pieces are small and subtle. It's also made from natural materials, so it smells lovely and is good for the environment too! 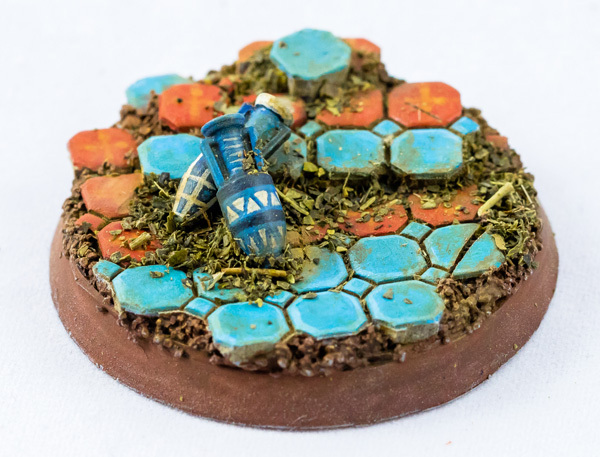 Example base painted by Andy using Middle Eastern style colours and featuring the Forest Scatter. 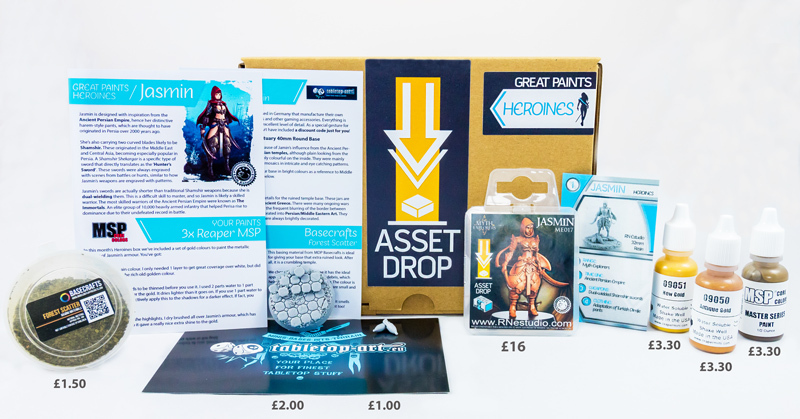 So as you can see, January's Heroines box was pretty awesome 🙂 It contained a fantastic premium miniature, Jasmin, from RN Estudio, as well as a resin base and amphora from Tabletop Art, a trio of Reaper MSP gold colours, and a pot of basing material from MDP! All our Heroines boxes also contain a custom Heroine Card per miniature, and a 'menu' telling you some history about your new heroine. If you want to grab the next Heroines box, you can do so by clicking the button below.